BARCELONA, SPAIN--(Marketwired - Feb 27, 2017) - MOBILE WORLD CONGRESS - Reliance Jio Infocomm Ltd. ("Jio") is collaborating with Cisco (NASDAQ: CSCO) to further expand Jio's existing multi-terabit capacity, first All-IP converged network. Cisco forecasts that mobile data traffic will grow 7-fold from 2016 to 20211. Technology has become the biggest driver of economic development in India. Jio network has exceeded consumption of more than 1 exabyte of data per month, establishing its clear leadership as the dominant data network. The Jio All-IP digital platform is a result of co-innovation around product and services between the two companies. It is built on Cisco's Open Network Architecture and Cloud Scale Networking technologies featuring IP/MPLS, spanning areas including Data Center, Wi-Fi, Security and Contact Center solutions. The All-IP network is built for the ever-increasing volumes of data, and its promise to shape the future of India, with end-to-end digital solutions and broadband for all. Jio has more than 185,000 miles (or 300,000 KM) of fiber, and built India's largest cloud data center to build platforms for applications and vertical solutions. Since its launch, Jio has accelerated India's monthly user data consumption 40 times, the highest in the world. With the advanced All-IP network, Jio offers a premium broadband service at U.S. $0.15/GB, making it the most affordable in the world. Jio's infrastructure and CDN extends beyond geographical boundaries of India into Singapore, France, London, New York, Los Angeles, Amsterdam, and Frankfurt. With this Jio has direct interconnect with global carriers and content providers enabling low-latency and high-quality experience for users in India. 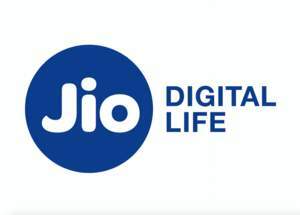 "We at Jio have been able to fundamentally impact how people leverage technology in their everyday lives by delivering inclusive and affordable broadband across India," said Mathew Oommen, president, Reliance Jio. "As part of our journey in fulfilling the aspirations of the nation to be a key transformational agent in Digital Adoption and Leadership, Cisco has been a great partner for in building this highly scalable cloud centric All-IP Digital Services Network Platform meeting unprecedented data growth." "We share the vision with Reliance Jio for an open, programmable infrastructure to simplify, automate and virtualize core network functions in order to digitize faster," said Yvette Kanouff, senior vice president, general manager, Service Provider Business, Cisco. "This network marks a milestone, transforming the mobility business in India by delivering a broad range of mobile apps and services from one common platform."